Satellite TV is very popular in Germany because with a satellite dish can receive a lot of programs for free. In fact, satellite reception is the most widely used television reception in Germany, with almost 18 million households. The satellite dishes are easy to install and they provide a simple and trouble-free television reception in good quality. 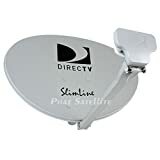 Since most modern TV sets are now equipped with a corresponding tuner, usually no extra receiver is more necessary to watch TV with a satellite dish. 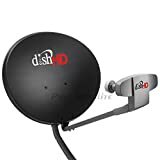 In our detailed guide, we answer many questions about the satellite dish, we explain the most common abbreviations and you will find out what to look for when buying a satellite dish. In addition, we looked at the Stiftung Warentest for a satellite dish test and we inform you about test winners and test results. What do the abbreviations DVB-T, DVB-T2, DVB-S, DVB-S2, and DVB-C mean? What do the abbreviations SD, HD, UHD, and 4K mean? What kind of receiver is needed? How big must the satellite dish be? How many participants can watch TV with a satellite system? What kind of TV is necessary for satellite reception? Anyone who deals with satellite dishes for the first time quickly comes across the above shortcuts and not everyone knows what they mean. Although DVB-T and DVB-T2 and DVB-C you can neglect with regard to the satellite television, at the latest when setting up the TV you can encounter these shortcuts again. DVB-T stands for Digital Video Broadcasting-Terrestrial and refers to the conventional antenna television. With DVB-T you can receive up to 30 TV channels. Depending on the region, private broadcasters such as RTL or Pro7 are included in addition to public television. Since March 29, 2017, however, the old standard DVB-T will be switched off gradually and replaced by the new DVB-T2 standard. This measure will be completed around the middle of 2019 and it will no longer transmit channels received via DVB-T. The reception will instead only be possible via DVB-T2. A new antenna usually does not need to be installed, but the set-top box or TV must be compatible with DVB-T2. This is often not the case with the old receivers. When buying, you should always pay attention to the DVB-T2 logo. DVB-S and DVB-S2 designate the standard for satellite television reception. Similar to DVB-T, there are also a first and a second generation. The old standard DVB-S sends the SD channels, while the HD channels are usually broadcast via DVB-S2. Also with DVB-S, a shutdown is planned in the next years. The variety of programs DVB-T / T2 provides about 20 free public service programs. There are also about 20 paid private programs. With cable television, you receive about 100 programs. With DVB-S / S2 you can receive several hundred unencrypted stations. The costs Public broadcasters can see you in the new DVB-T2 standard for free. Private broadcasters like RTL, Sat1 or Pro7 are broadcast via DVB-T2 only in HD and are chargeable. The free SD broadcasting via DVB-T will be switched off by mid-2019 at the latest. Cable TV is also available for a fee and a monthly fee is charged. With DVB-S you can still receive private channels in SD for free. DVB-S2 broadcasts public service programs in HD quality for free, the private ones are also available in HD quality, but they are encrypted and must be decrypted for a fee. The speed The new terrestrial standard DVB-T2 offers improved mobile reception with very high speeds. These speeds cannot be achieved with a satellite antenna. However, this has no impact on the conventional television receiver. Nor do you get around the abbreviations SD, HD, UHD and 4K when you are buying a satellite dish. These abbreviations indicate the resolution and thus the quality of the television picture. SD-SD stands for Standard Definition and refers to a resolution of 720 × 576 pixels. SD is the default quality for DVDs and all TV channels that are not broadcast in HD are sent in SD resolution. HD HD means high definition and here you have to distinguish between HD Ready and Full HD. HD Ready offers a resolution of 1280 × 720 pixels, while the resolution at Full HD is 1920 × 1080 pixels. Full HD is the standard definition of Blu-Rays and many TV channels are also transmitted via DVB-T2 and DVB-S2 in HD. Public broadcasters can be received both in terrestrial and satellite free of charge in HD. For private channels costs. UHD / 4K UHD stands for Ultra High Definition. With a resolution of 3840 × 2160 pixels, this is the highest resolution that is currently available in Germany for television pictures. It is four times higher than the resolution at Full HD and even 20 times higher than SD. UHD is standard on new Ultra HD Blu-Rays and UHD broadcasts on TV. UHD is also referred to as UHD 4K or just 4K. UHD 2 UHD 2 offers a resolution of 7680 x 4320 pixels. In Germany, this resolution is not yet available. In other countries, such as Japan, UHD2, also known as 8K, is called Super Hi-Vision System (SHV) when it comes to broadcasting on public service broadcasters. The abbreviation LNB stands for Low Noise Block and refers to the electronic component in the focal point of the antenna, which amplifies the satellite signals and converts the frequency so that they can be transmitted via the antenna cable. The LNB is sometimes referred to as LNC (Low Noise Converter). The coaxial cable is the antenna cable. F connectors are the connectors you need to connect the coaxial cable to the LNB. Many modern TVs already have a built-in tuner that makes an extra receiver unnecessary. You must, however, make sure that this is a DVB-S tuner for satellite TV. The size of the satellite dish depends on the satellite and the conditions. In good conditions, ie a clear view of the satellite, bowls with a diameter of 45 cm are sufficient for Astra. However, the smaller the key, the weaker and more susceptible to interference is the reception. A satellite dish with a diameter of 60 cm is therefore highly recommended. How many participants can be connected to a satellite system depends on the technical conditions? If the satellite system is only equipped with a single LNB, only one TV can be connected. With a double or quad LNB, two to four participants can be connected. For home systems, even apartment blocks with many parties can be equipped with their own satellite connection. For domestic use, a quad LNB is usually sufficient. You do not need a special TV to receive TV through a satellite dish. Using a receiver, it is also possible to receive the satellite programs on a very old device. Practically, of course, is a modern TV, which is equipped with a corresponding tuner, so you do not need an extra receiver and thus have a remote control less on the table. Which holder is more suitable depends in particular on the local conditions. A wall bracket is usually attached to the house facade. On the other hand, if the bowl is to be mounted on the roof, a mast mounting is necessary. First, the appropriate location for the satellite dish must be found. If possible, a position should be chosen that is easily accessible and a little wind and weather protected. A clear view to the south must be guaranteed from the future installation location. If you have the option of attaching the satellite dish to the façade, this is often preferable to roof installation, as the bowl on the wall is usually easier to reach and less exposed to the wind than on the roof. Again, however, the local conditions in each case are crucial. A compass may provide very good services when selecting the right location. 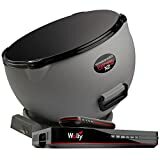 In the trade, numerous accessories are offered for the satellite dish. 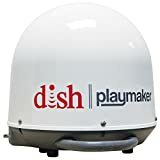 In addition to brackets, cables, and plugs that are necessary for the installation, including some accessories that can optimize the use of the satellite dishes. The most important ones are presented. Signal Amplifiers Long cables often cause the satellite signal to lose power. A signal amplifier can help to ensure that the signal arrives at the television or receiver in optimal strength again. 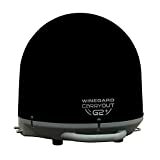 The signal amplifier is mounted between the satellite dish and the TV or receiver and it requires its own power supply. However, the signal amplifier is not suitable for improving a poor reception from the outset. If you have your satellite dish installed or installed, nothing stands in the way of extensive television enjoyment. Nevertheless, you should not let the bowl completely forgotten, but maintain and clean it regularly. The first step is already choosing the right installation location. Try to find a place where the bowl is exposed to the wind as little as possible, and be sure to choose a location where the bowl will not be contaminated. Pollution can be caused by nesting birds or trees, for example. But even if you have chosen the best of all possible locations, you should clean the satellite dish at regular intervals. Use a soft sponge or cloth and warm water and carefully wipe the antenna mirror clean. If necessary, you can use dishwashing liquid or another mild detergent. Never use harsh detergents, scouring pads or hard brushes that could scratch the keys. How often the cleaning must be done, is individually different. However, it does not hurt to take a look at the bowl once or twice a year and clean it if necessary, as it can affect reception. Regular maintenance of the satellite dish is usually not necessary. However, if there are any adverse effects on the television picture or if you no longer have any reception, this can have different causes. For example, a strong wind or a storm can easily change the bowl. Over time, the cables can become brittle, so they need to be replaced. With the necessary technical know-how, you can make your own troubleshooting, otherwise, a local specialist company will help you here as well. 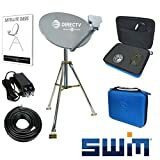 If you have decided to buy a satellite dish, you should pay attention to a few things, so that you are satisfied with your decision in the long term and enjoy uninterrupted television reception. First, make sure that you can attach a satellite dish to the planned location. Tenants usually require the permission of the landlord. In addition, check the local conditions and inquire with neighbors if satellite reception is possible. Next, you have to choose the right shape and size. 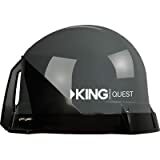 If you would like to install the satellite dish as inconspicuously as possible, it is often recommended to use a small flat antenna that is almost invisible on the façade or on the roof by means of appropriate stickers. The small satellite systems are also well suited as a camping satellite dish and they can even be installed on the home balcony. Sat system or Sat mirror? 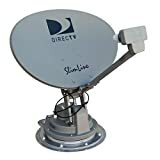 The term satellite dish is used in colloquial terms for different products around the satellite television and between a satellite system with LNB and a satellite mirror without LNB linguistically often made no difference. Therefore, pay close attention to the scope of delivery and whether an LNB is included. The right size The satellite dish should be at least 60 cm in diameter. This is especially true if more than one single LNB is to be operated. The larger the bowl, the better the reception and if many participants are to be supplied, you may also have to consider an SAT bowl with a diameter of 100 cm. Weather resistance The satellite dish should be made of stainless materials as it is exposed to wind and weather. This also applies and especially for small parts such as screws, clamps and the like.